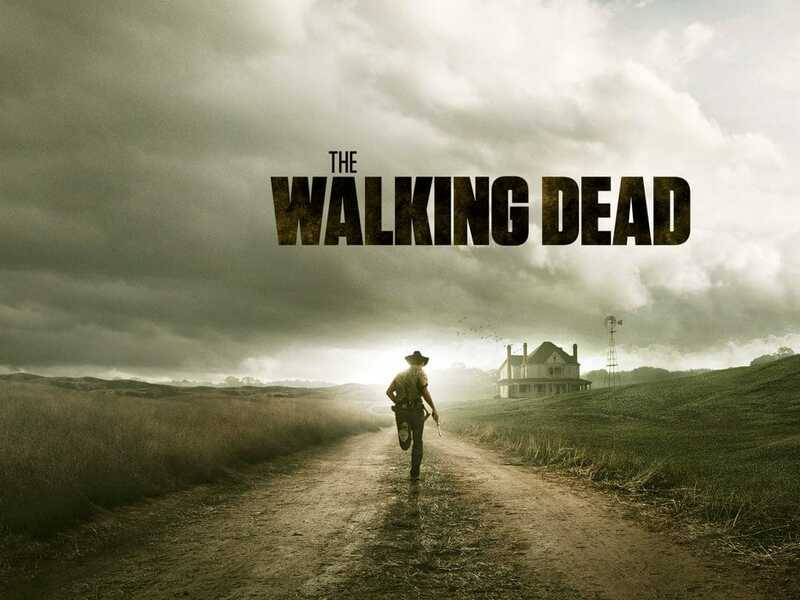 The Walking Dead is an American horror drama series. 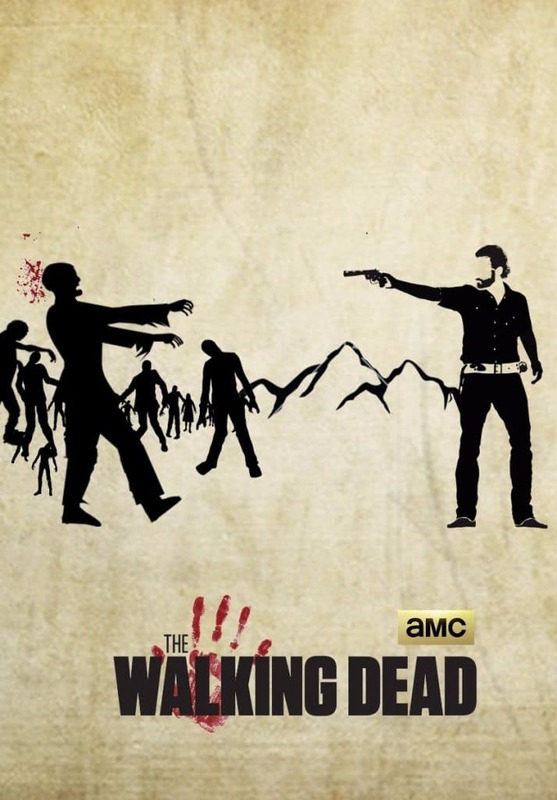 The series has a total of 8 seasons till date. 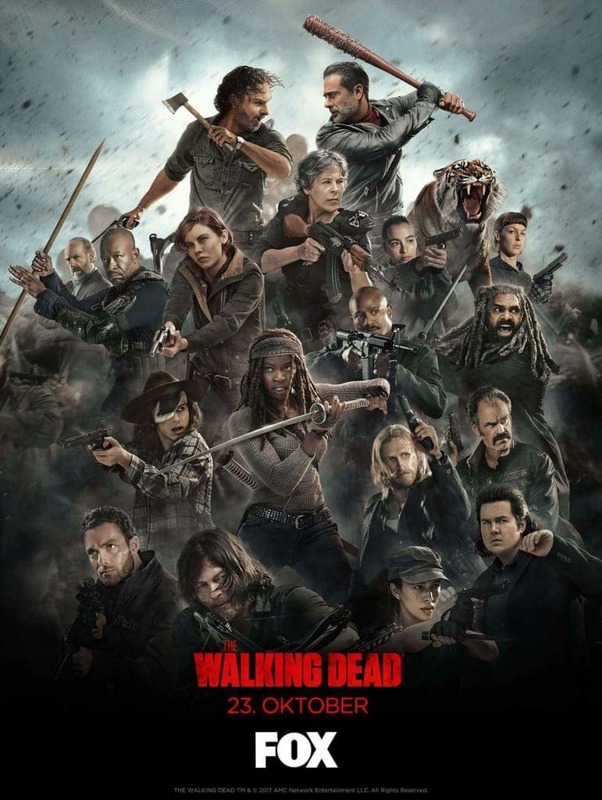 But in January 2018, a good news came for the fans as the television series got renewed for the ninth season. 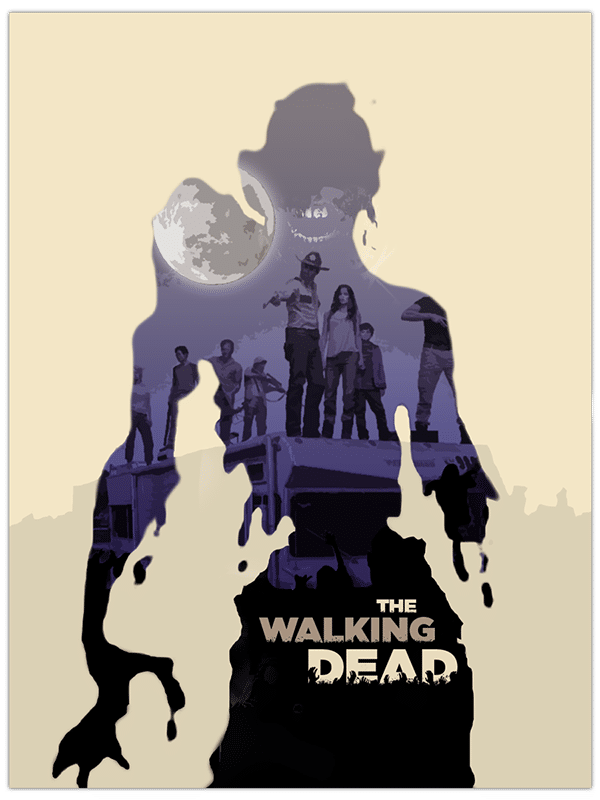 In this post, we are here with ‘The Walking Dead Poster Collection ‘ presenting you with some amazing and cool posters of The Walking Dead. 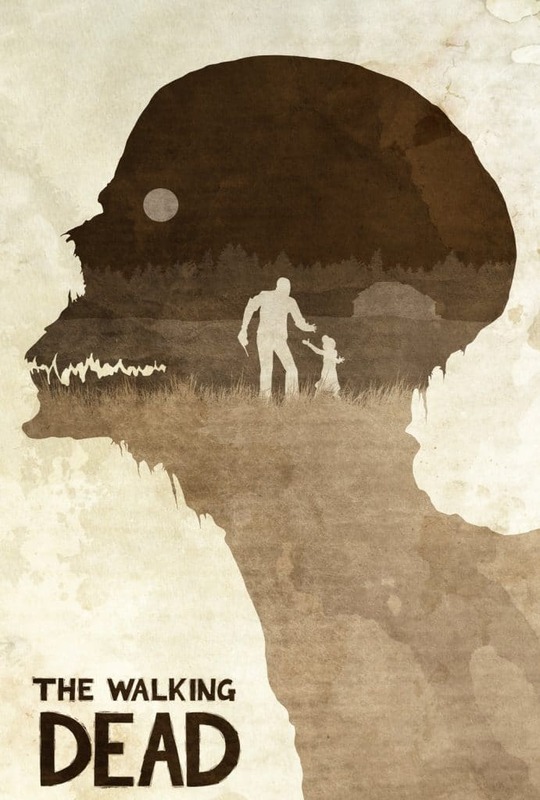 How would you feel if you wake up one day and find yourself surrounded by aliens, monsters or Zombies? Well, that is how the series begins. 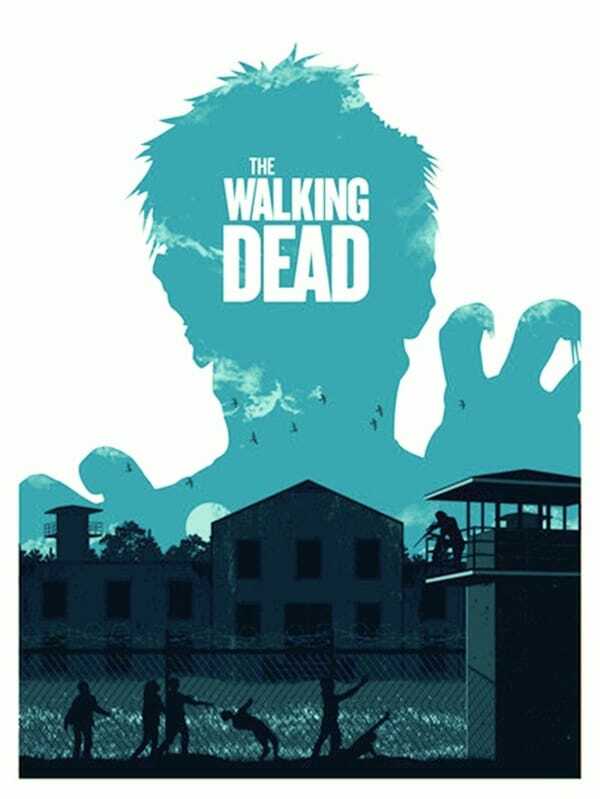 Rick Grimes a police officer wakes up from the coma and finds himself in the world dominated by the Zombies. 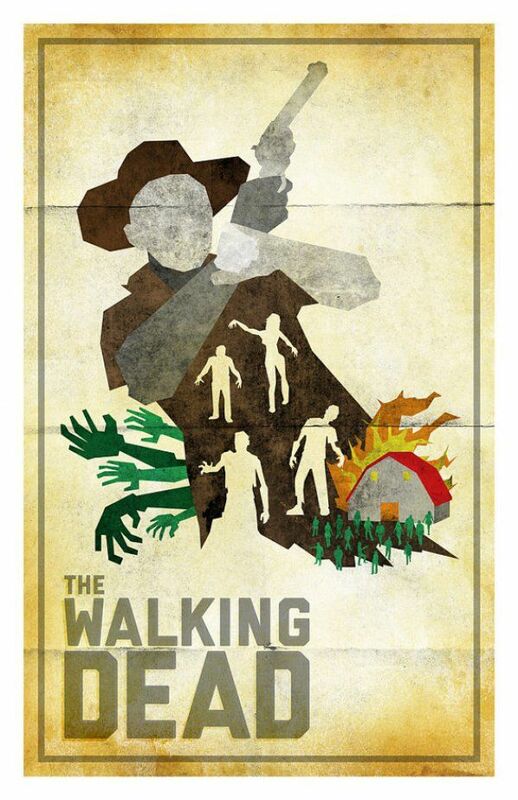 These zombies are referred to as the Walkers or The Walking Dead. 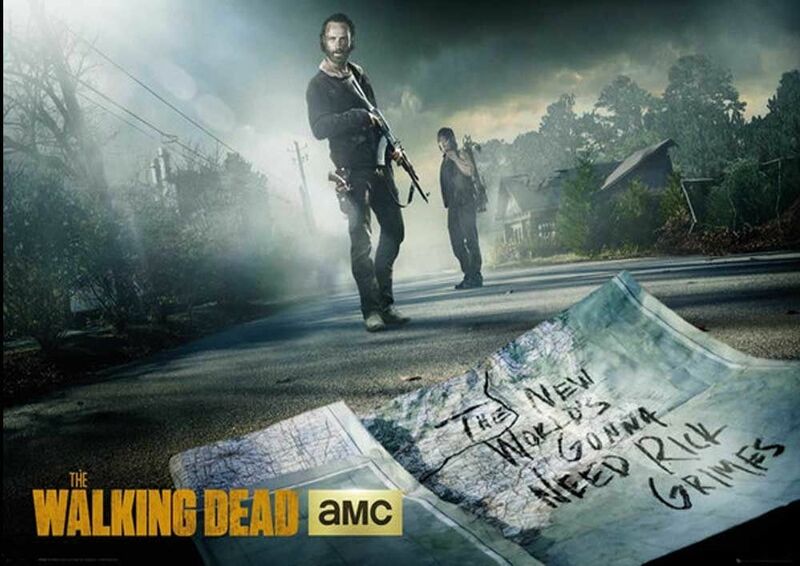 Rick is then set to find his family and friends, during which he encounters many other survivors like him. 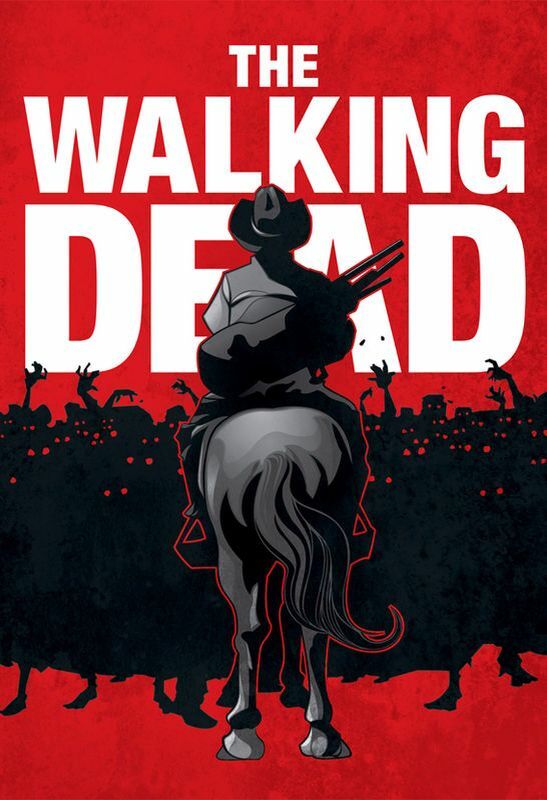 This series is based on the comic book named ‘The Walking Dead’ by Robert Kirkman, Tony Moore and Charlie Adlard. 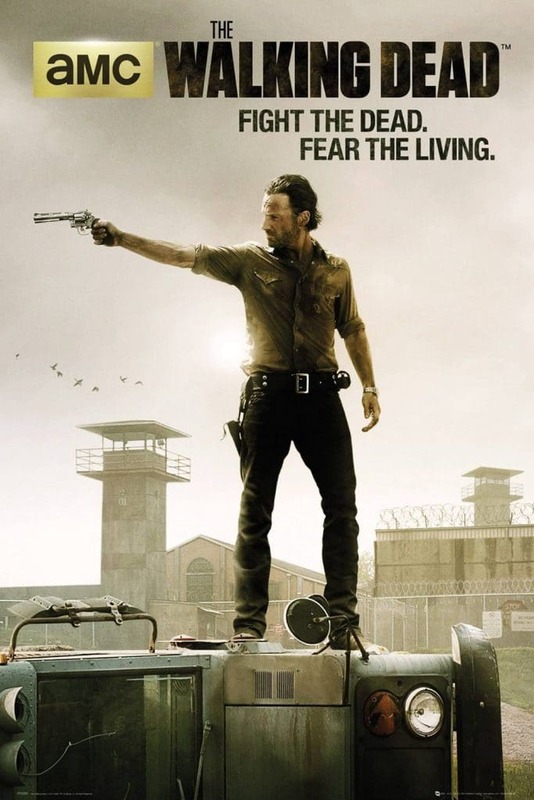 Rick Grimes is the main protagonist of the show. 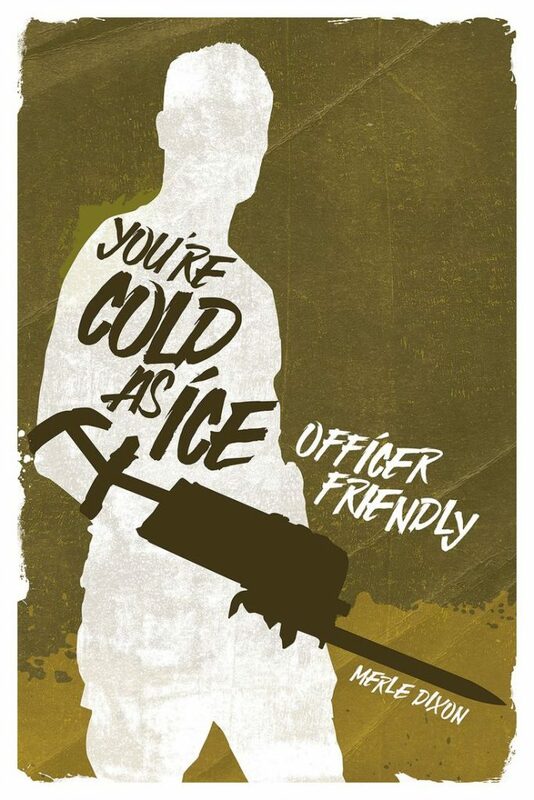 He is a former deputy sheriff and a survivor of the apocalypse. 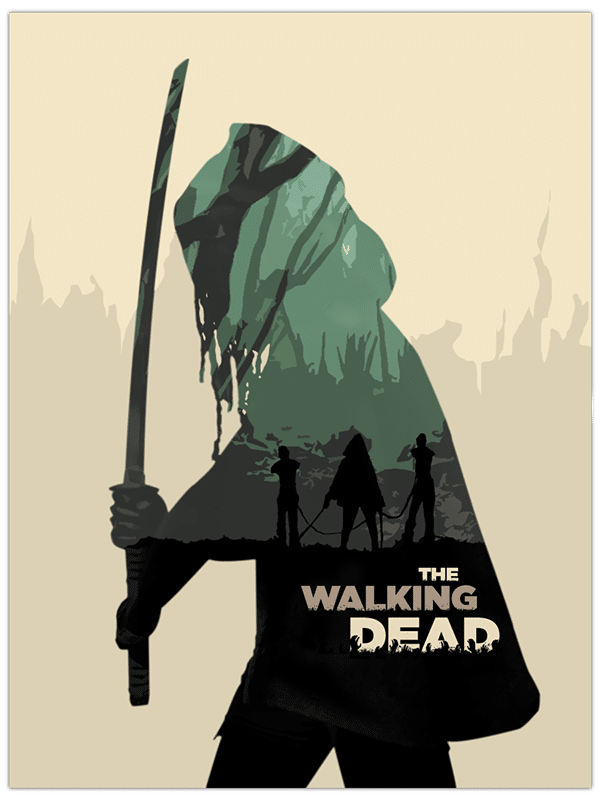 Throughout the series he fights the dead walkers along with other survivors. 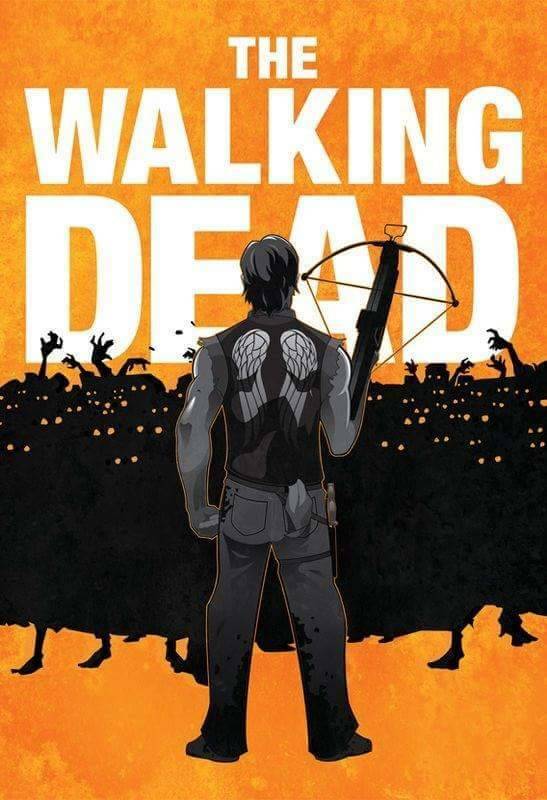 Well its not just the dead we have to protect ourselves from even the ones that are alive are dangerous. 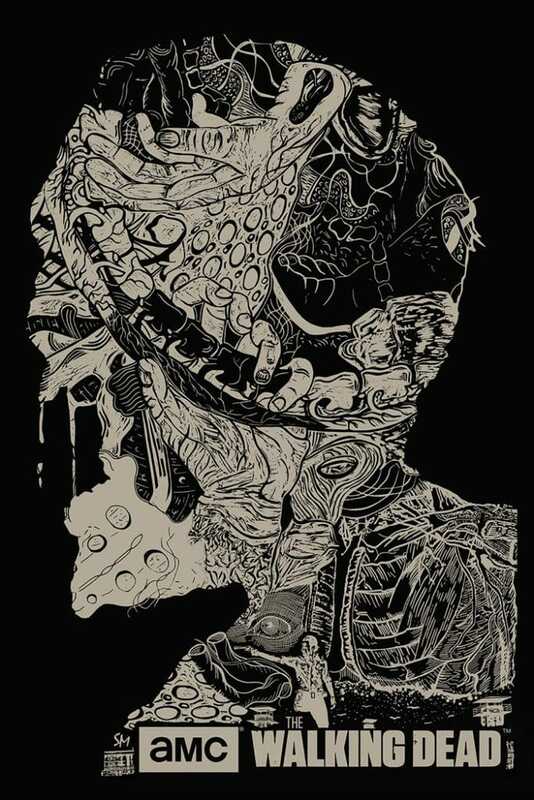 So, Fear the Dead and Fear the Living. 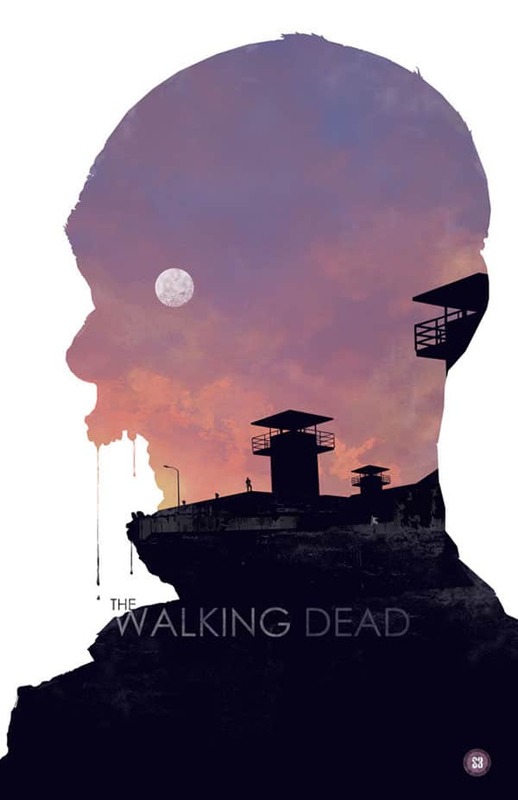 After Rick wakes up from the coma, he finds himself in the world full of zombies. He travels to Atlanta in search his wife and son. On his way when he runs out of Gas he decides to complete the rest of his journey on the horse. 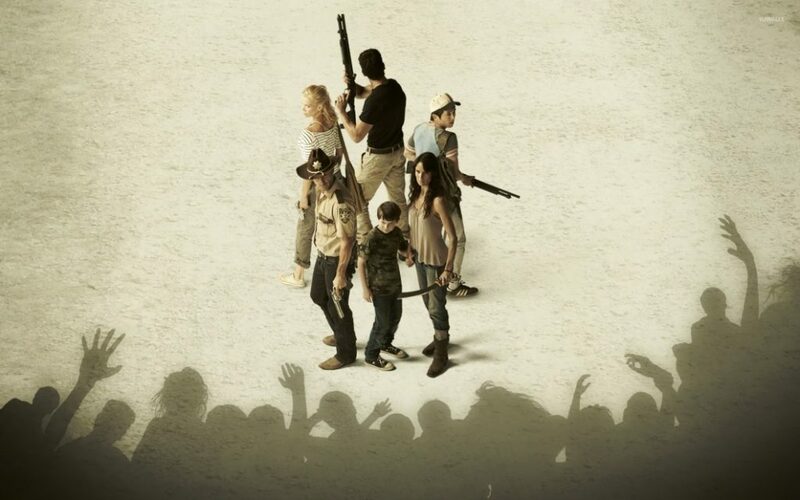 The survivors form a group to protect and save themselves. 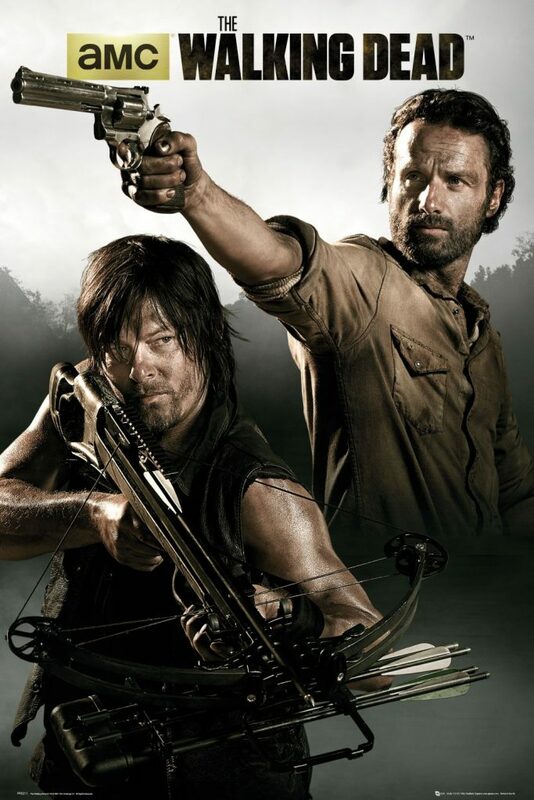 Rick and Daryl were the main hunters of the group. 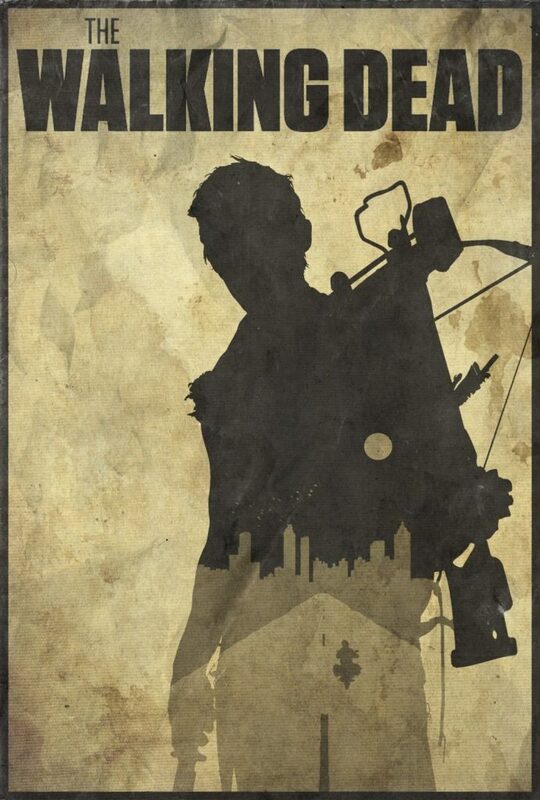 Crossbow is the signature weapon of Daryl. 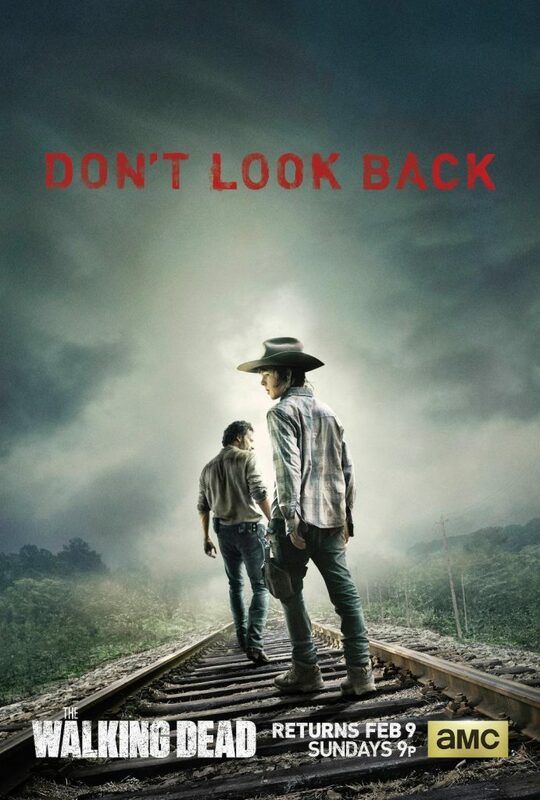 ‘Don’t Look Back’ is the name of the mid-season premier of Season 4. Looking back at the past always hurts and hunts us. If you have to survive then looking back is not an option. 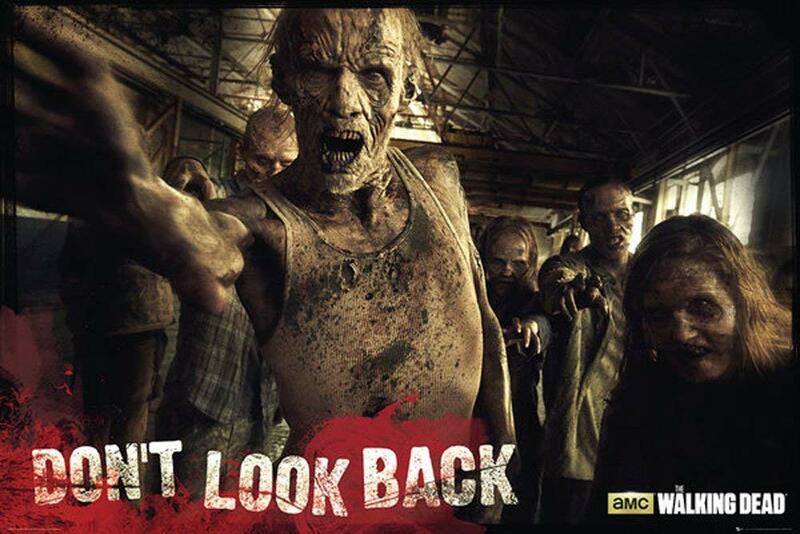 ‘Don’t Look Back’ is also a game based on this show. 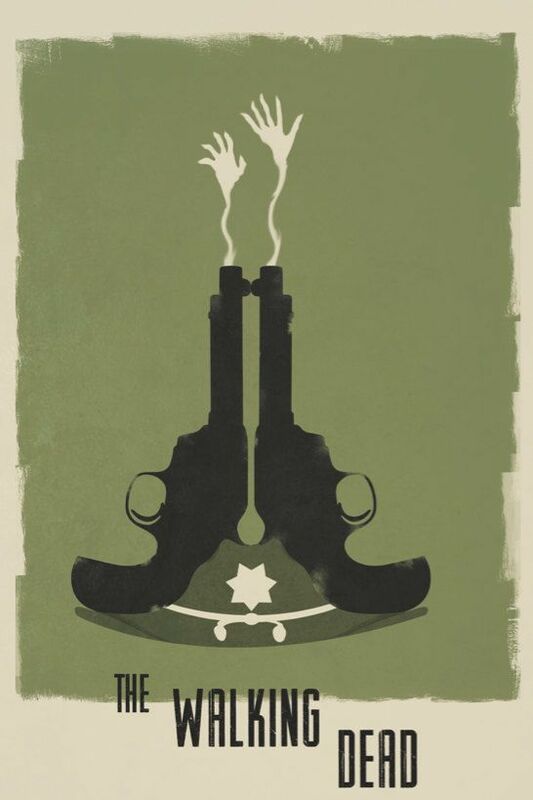 Either you hunt down the zombies or they will hunt you. So you decide- Do you want to hunt? 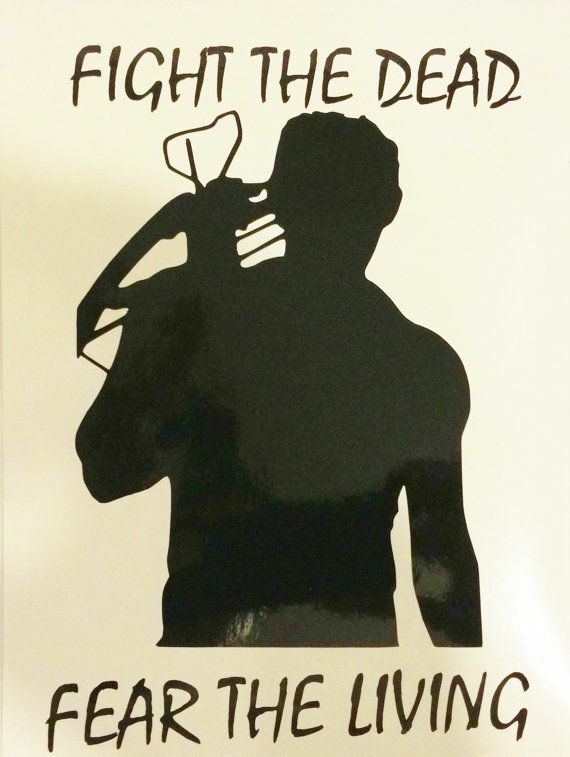 or be hunted? 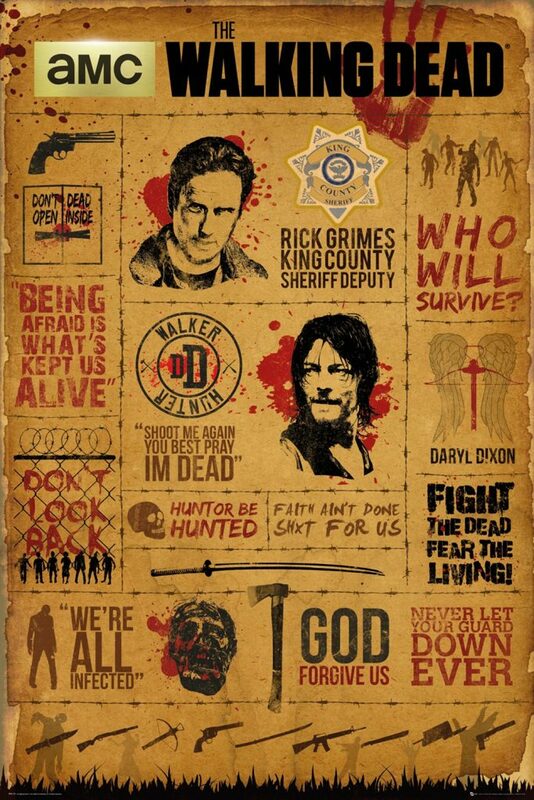 Its obvious, if you want to survive then just HUNT! 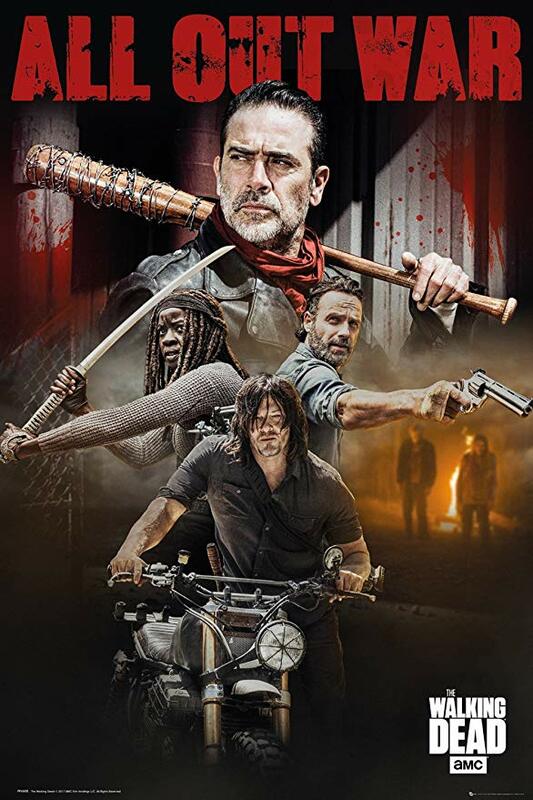 After the Governor’s attack, the group is forced to separate. 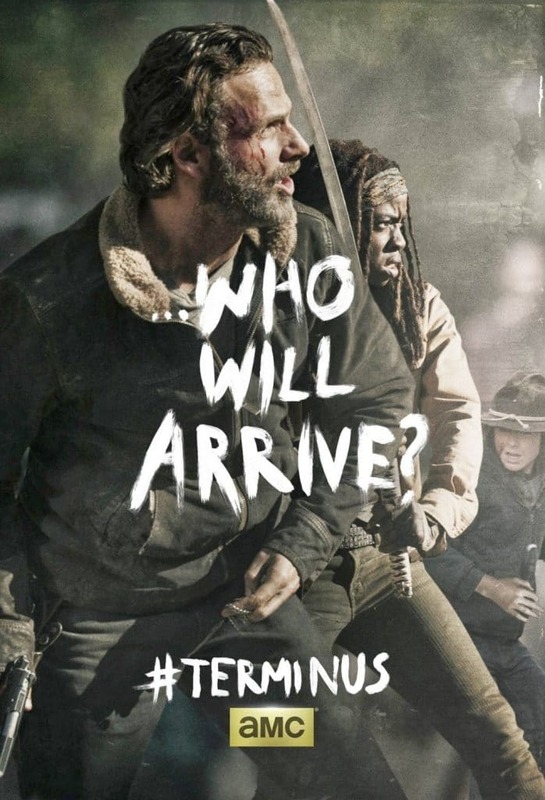 But the all reunite at Terminus. There they encounter some more challenges. 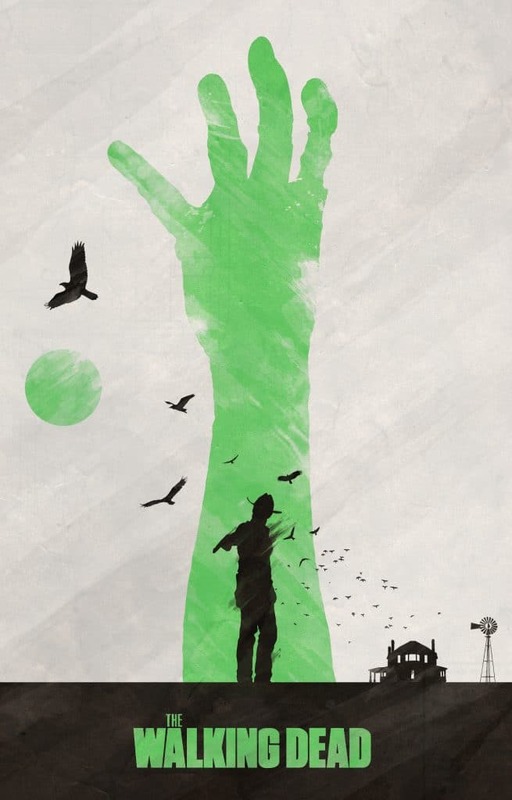 Zombie bites or scratches can turn a human into a zombie. But there is more to it in the series. 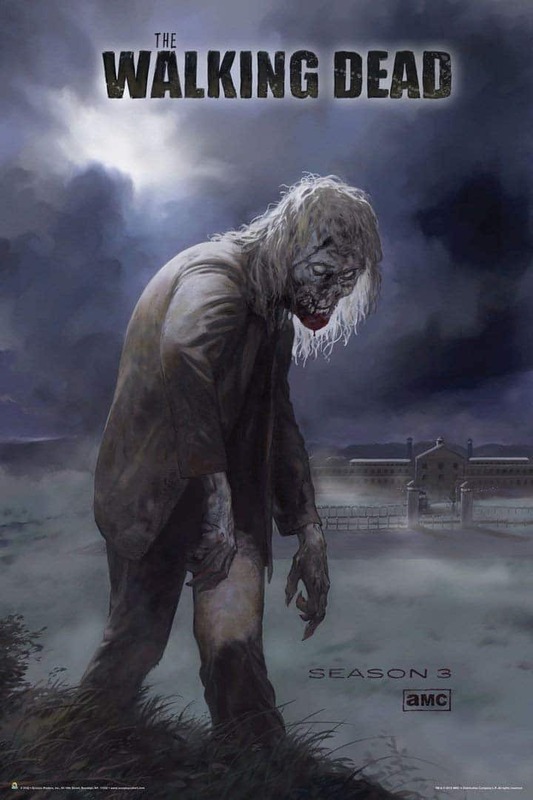 It is revealed that every human being can turn into a zombie as there is a pathogen responsible for mutation. If you make enemies then there is trouble coming your way. 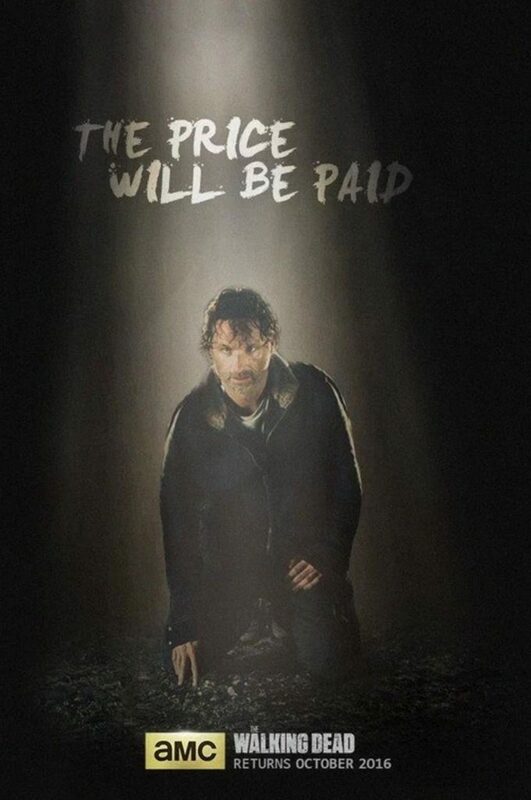 This ‘The Walking Dead’ poster is a teaser of Season 7 and it gives an idea that everything that happened in Season 6- The price will be paid for that. 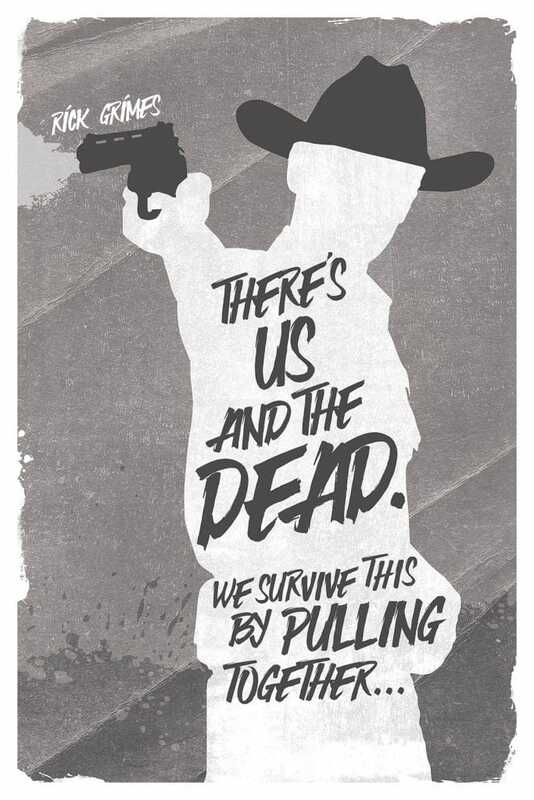 Zombies or ‘The dead walkers’ are always hunting for the survivors. Rick’s encounter with them in the hospital was so horrifying. 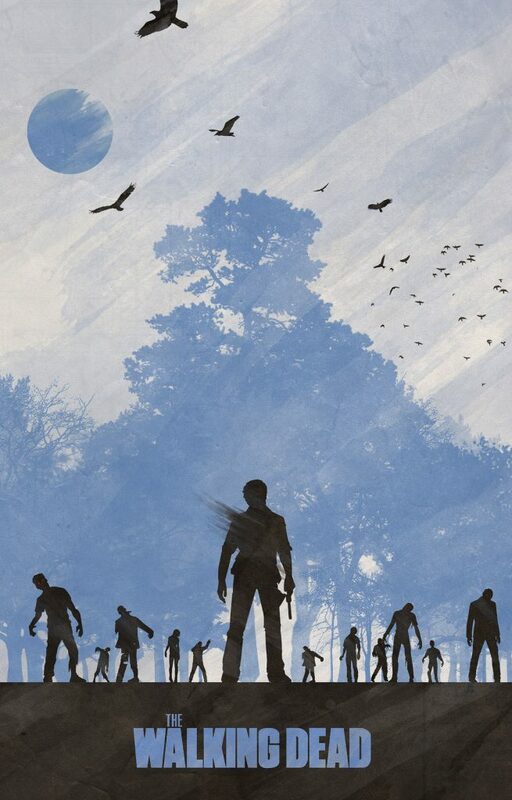 The zombies are attracted to any noise or the smell of humans. 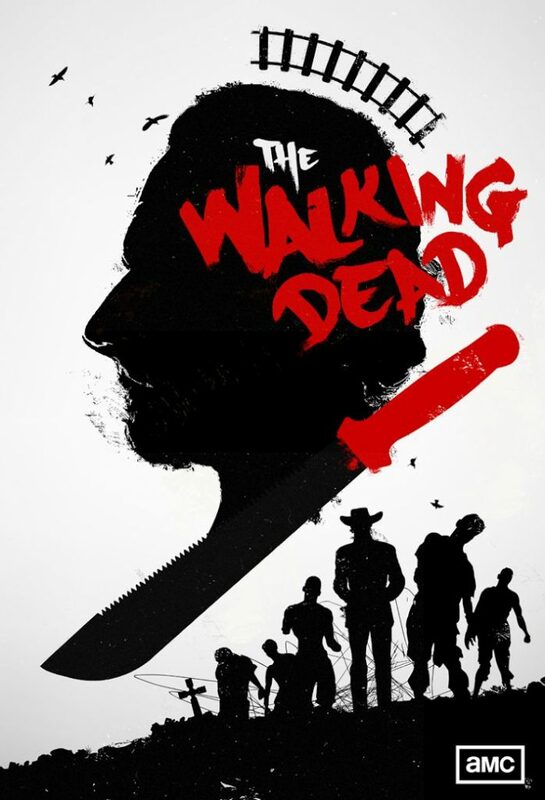 The main aim is to kill the zombies and make a safe environment for the survivors to live. 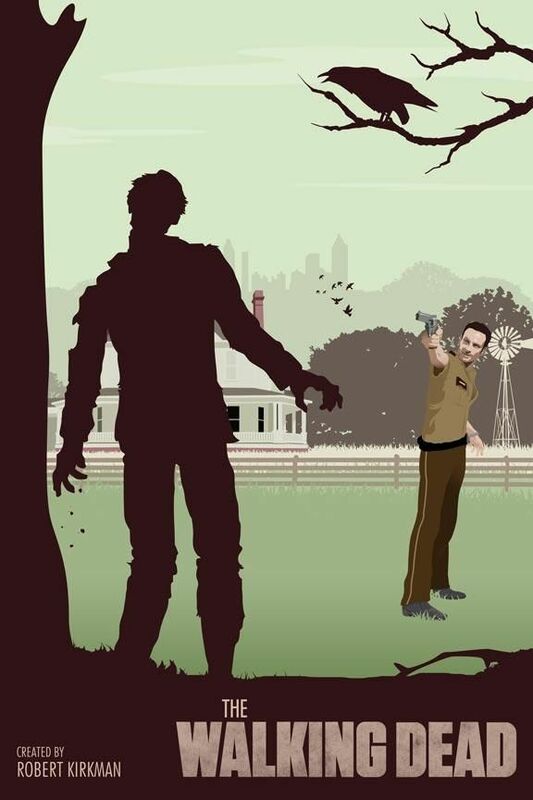 Rick Grimes fighting against the Zombies. 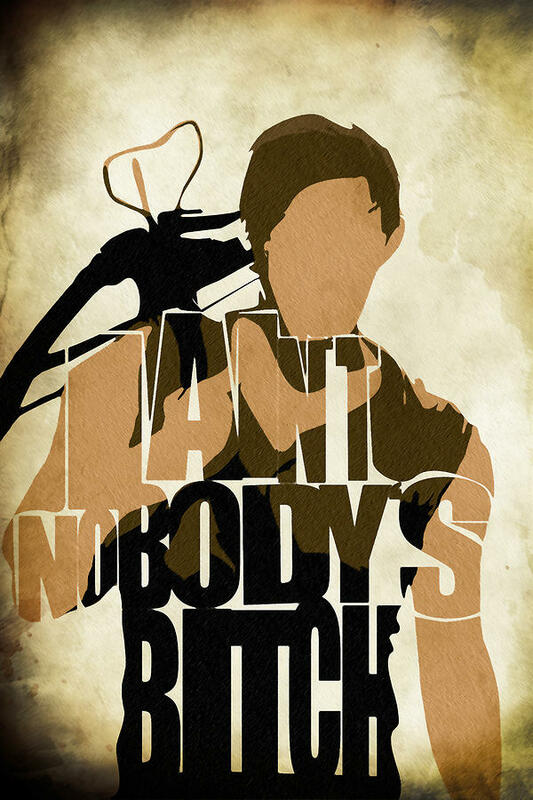 Daryl Dixon fighting the zombies. 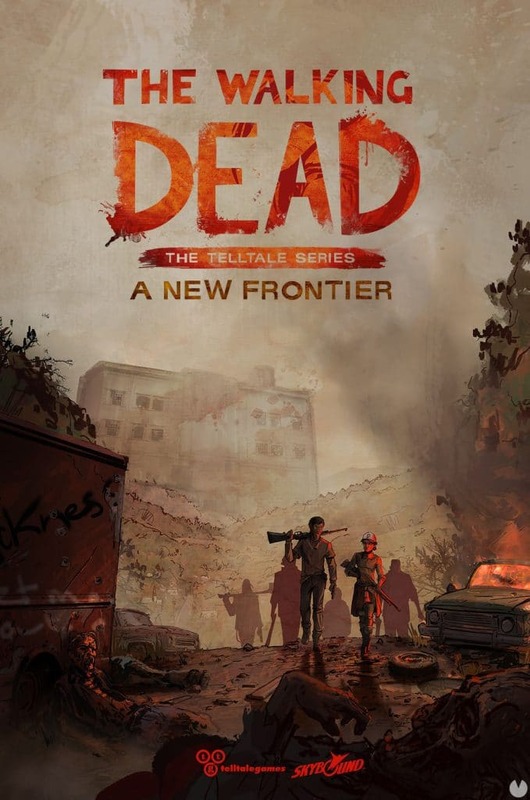 The characters have to Rise up and face the danger. 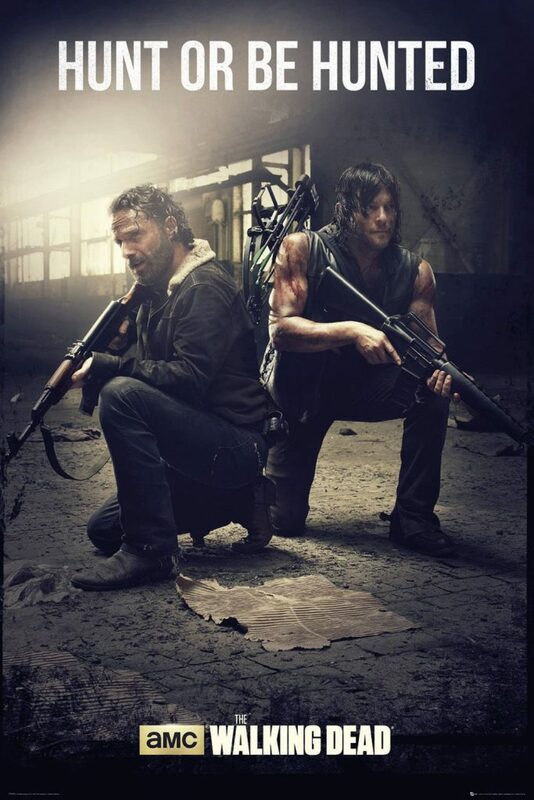 They have to be brave and strong enough to face the zombies, who sometimes can be one of their own. 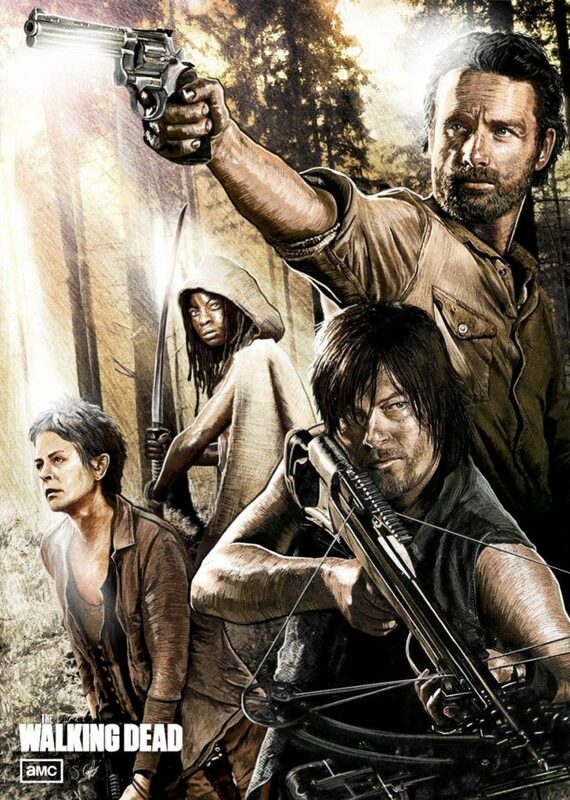 The new world definitely needs Rick Grimes to keep them safe and protect them. 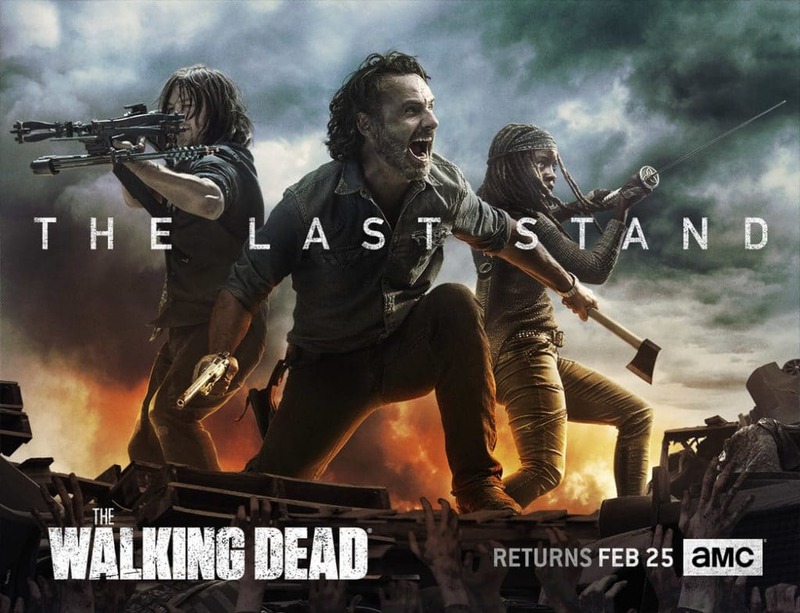 Rick Grimes and Alexandria allies against Negan and the Saviors in the season 8 will be the Last Stand. 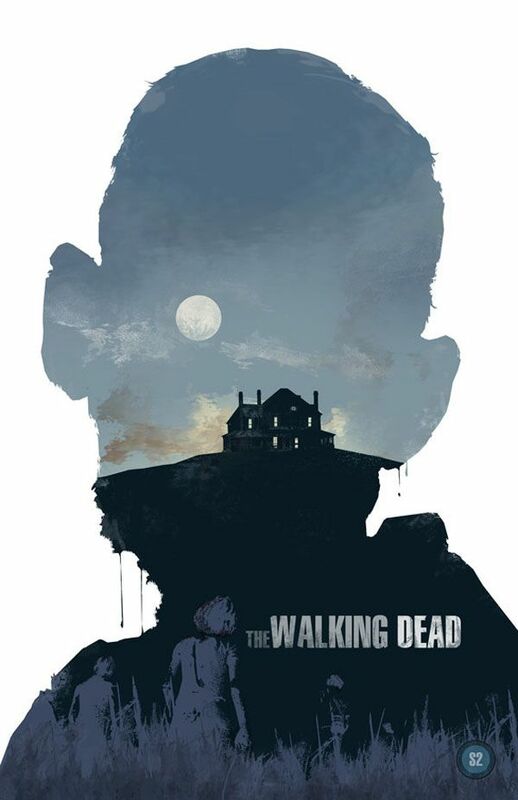 This is the teaser poster for Season 8. 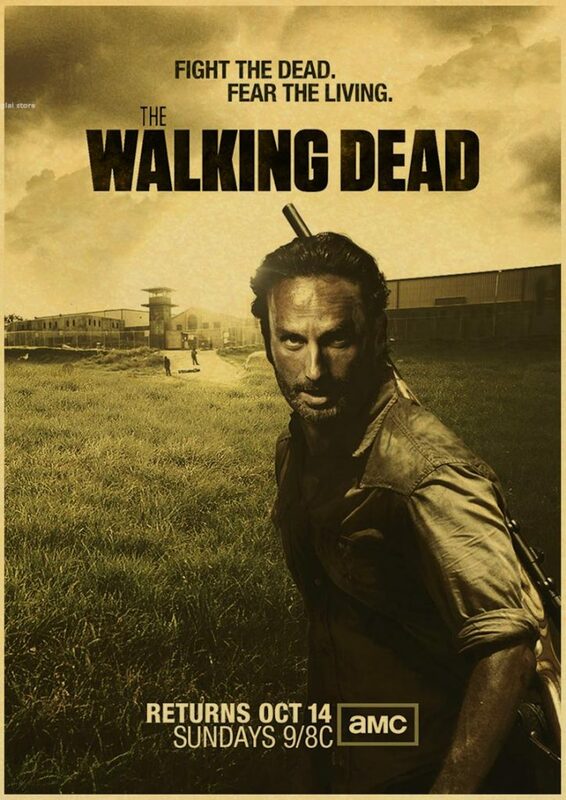 Rick’s group make a prison their home to survive. 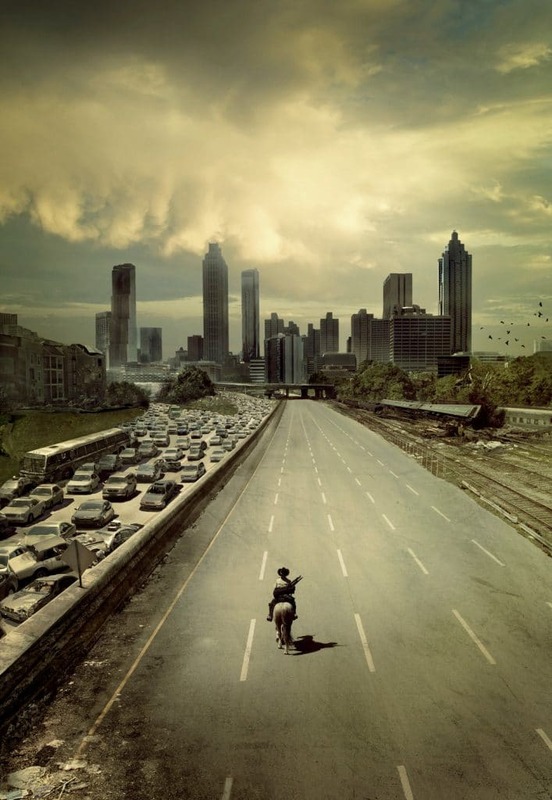 They later come across a town named Woodbury led by the Governor. 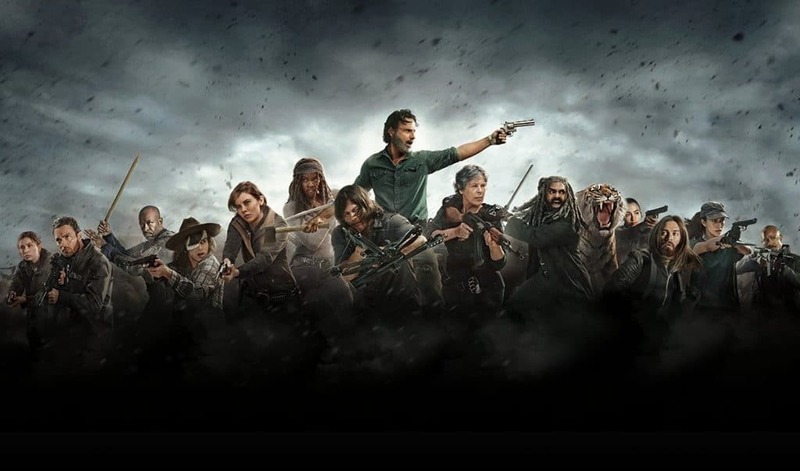 When the Governor discovers Rick’s group they have a huge conflict. 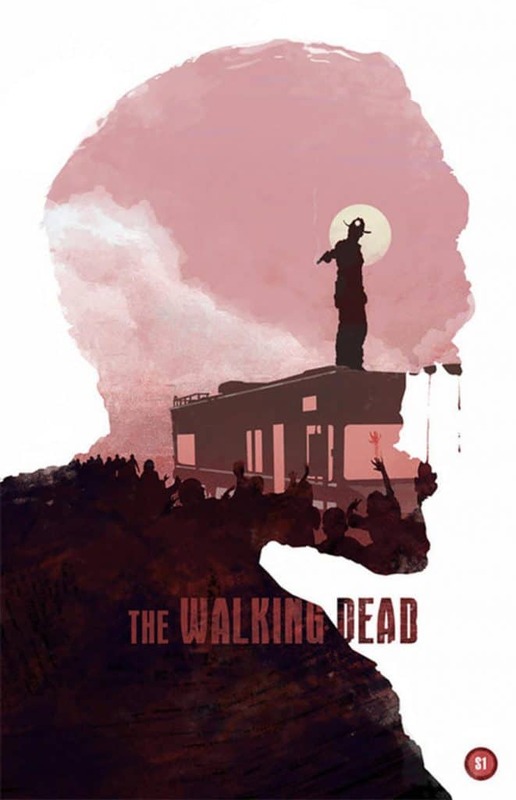 This Art Poster is very stunning and it brings out the fan in you just by looking at it. You can just stick it around in the room or make book covers or whatever you like. 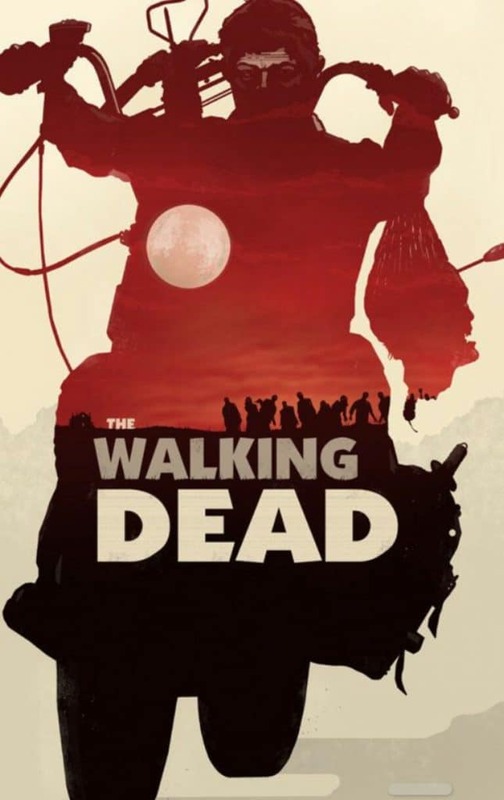 This ‘The Walking Dead’ poster is a complete collection of the overall series. 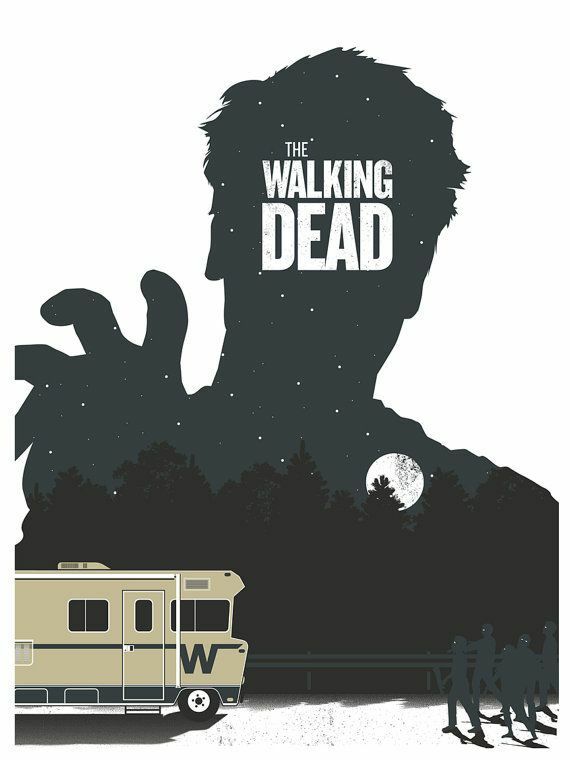 These extra ‘The Walking Dead Posters’ are so cool and amazing that if you love having your rooms a little dark and scary, then go ahead print some and stick around. 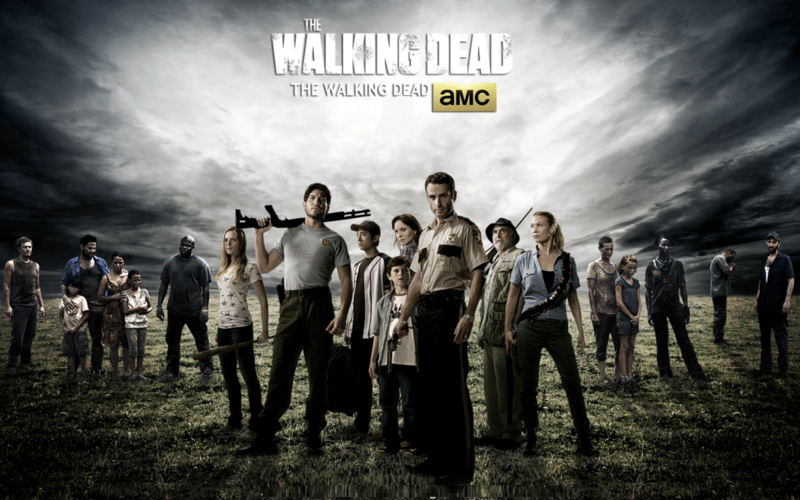 The series is absolutely worth watching and has been nominated for several awards. 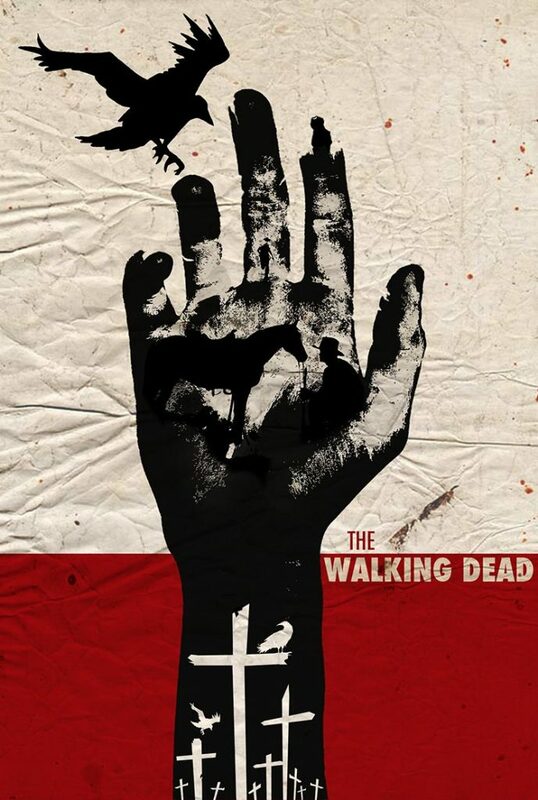 If you are a fan of horror drama with a combination of action then this show should be on the top of your list. 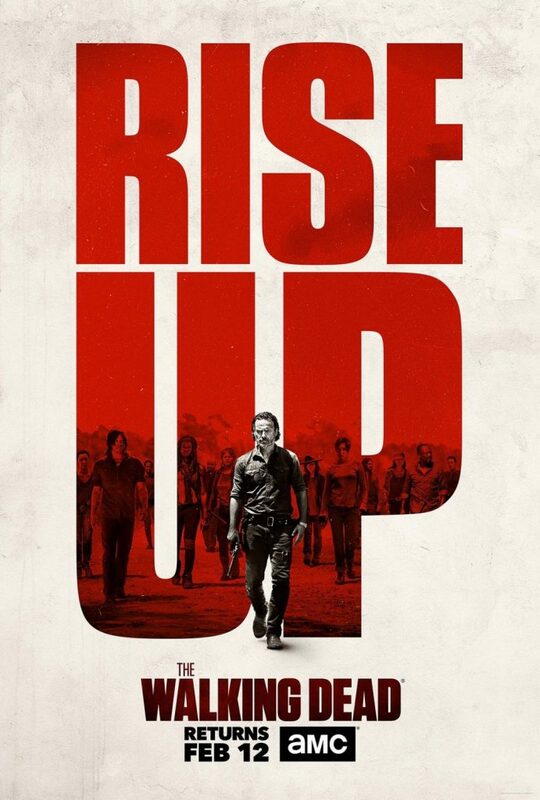 The series was renewed for season 9 in January and is set to premiere in October 2018. 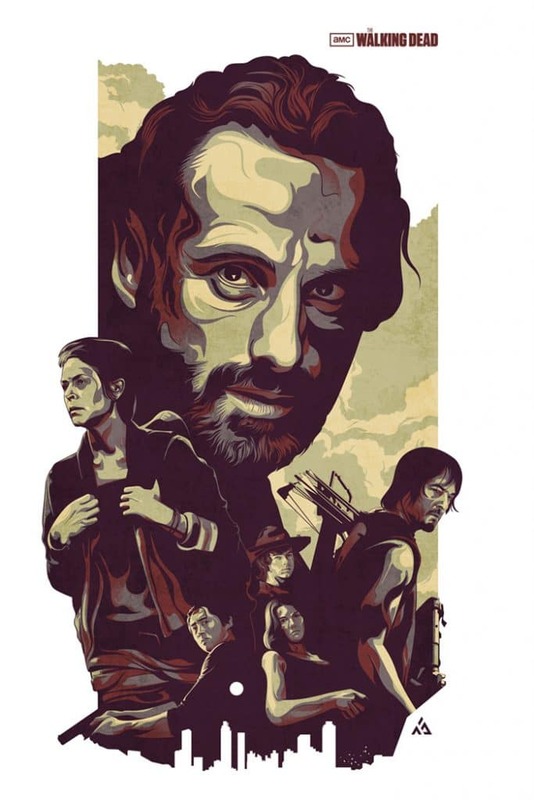 So if you haven’t watched any season yet then now is the right time to start binge watching it! 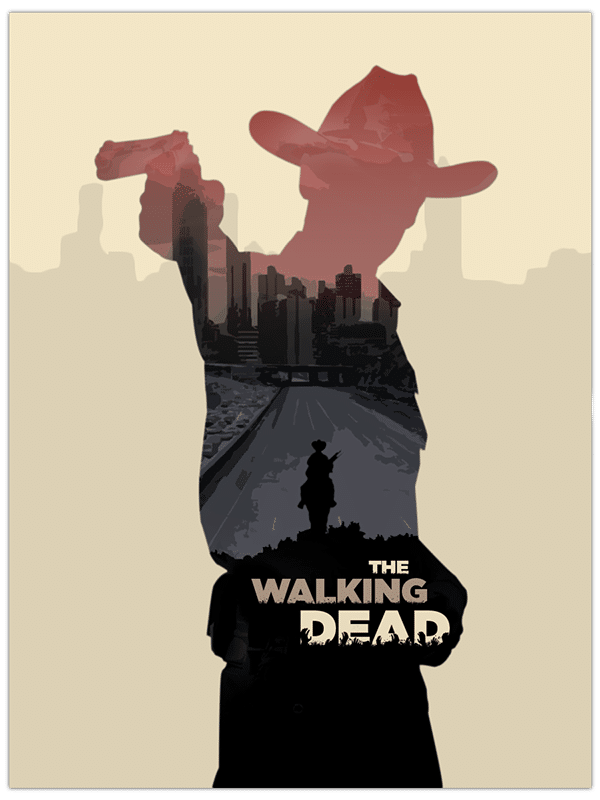 And do bookmark this website and share this post with your friends as we bring you amazing as well as printable posters of the movies and TV series which are free and easy to download.